Final directions for Color Wheels Three and Four are updated. Now its time to start using the color wheels in daily painting to help keep your colors clean and your values within the right range. 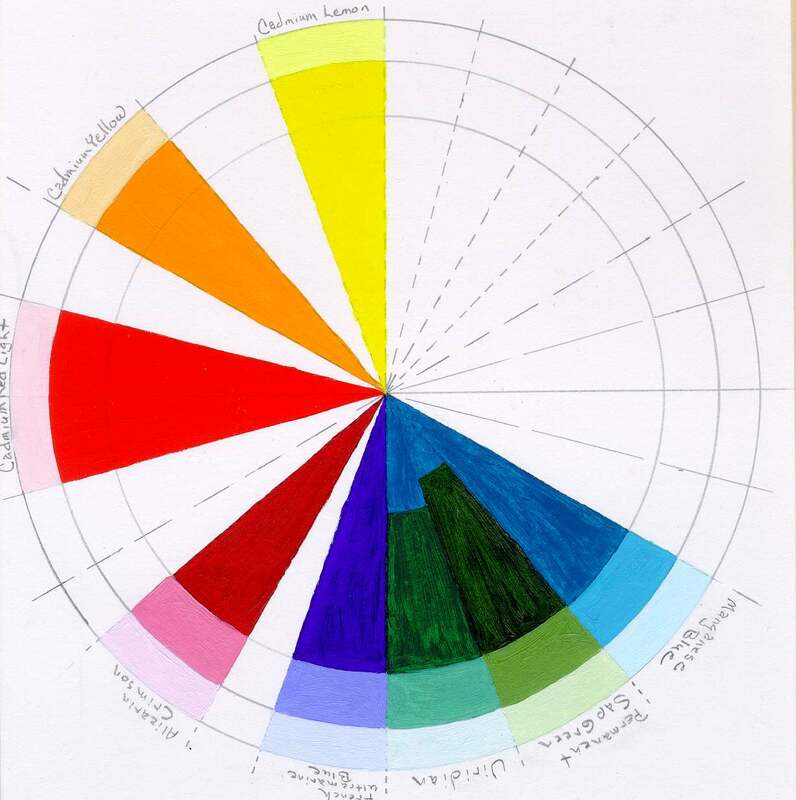 Directions for creating Color Wheel Three – based on Seven Step Grayscale. 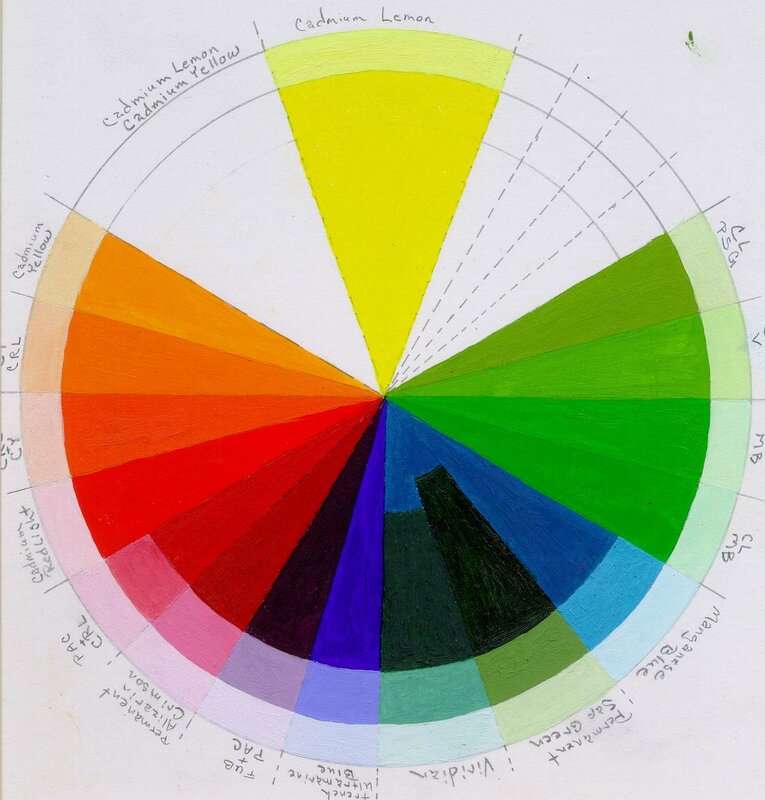 Directions for creating Color Wheel Four – based on Nine Step Grayscale. In my own experiments, I plan to paint at least a dozen little studies without neutralizing the colors to make sure I am paying attention to Value rather than trying to imitate reality. By that time I will be craving neutrals, but I hope that I will retain what I have learned about establishing correct values with my higher intensity colors. I believe that this exercise will result in cleaner neutrals that will enhance the higher intensity colors. 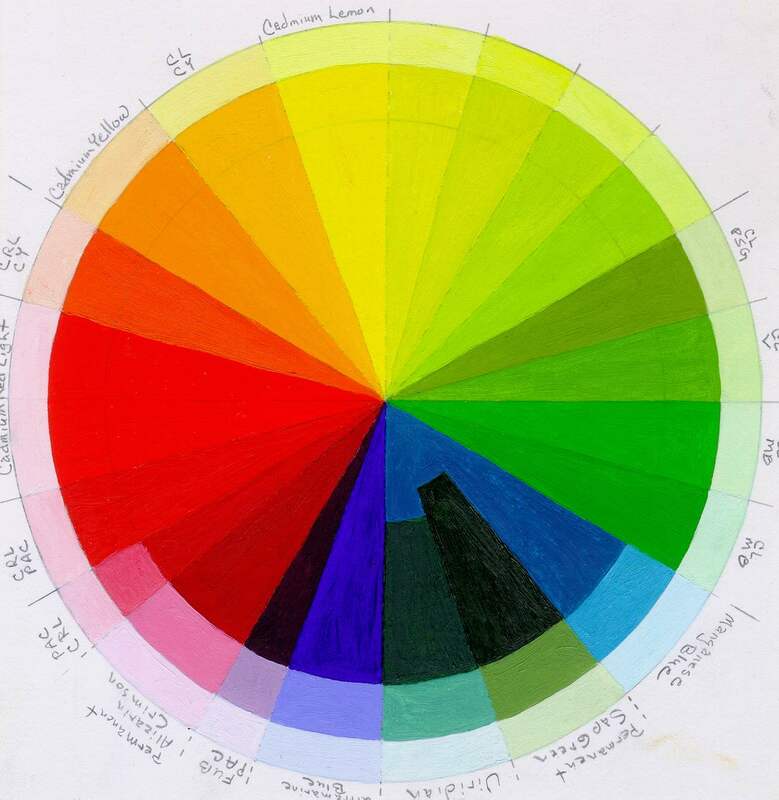 Directions for mixing pigments for the dark and middle range value segments have been added to the Color Wheel Pages. Link to directions for Color Wheel Three – based on a seven step grayscale. Link to directions for Color Wheel Four – based on a nine step grayscale. Power is Back! Step Five is posted! I have updated the pages showing the directions for Step Five of Color Wheels Three And Four. Correction to Color Wheels 3 and 4, warm blue middle ring. 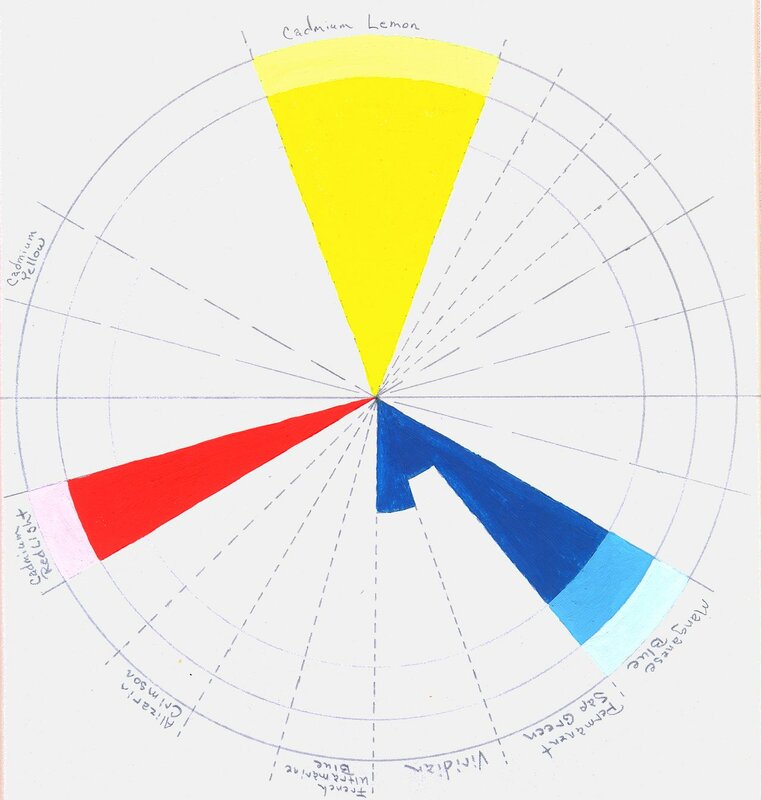 I omitted a step in this morning’s directions for painting the Warm Blue segments of Color Wheels Three and Four. 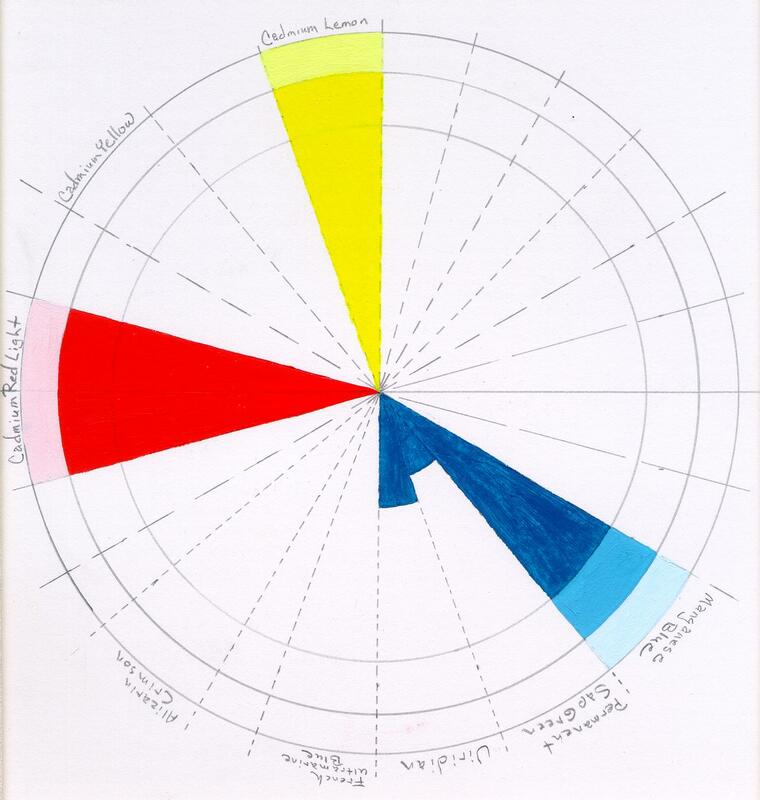 I’ve added the next two steps to Color Wheel Three and Color Wheel Four. Link to Directions for Color Wheel Three. Link to Directions for Color Wheel Four.